FOOTAGE has been found of Richard Walker playing and landing a double-figure carp. The report, by the brilliant carp fishing archivist, Chris Ball, is in the May 2013 edition of Carp World, and it concerns a promotional film that Walker and Fred J.Taylor made for the Intrepid reel company, back in 1961. The footage is yet to be released, but Chris Ball describes Walker “crouching with a bent rod, and on his haunches, unhooking carp”. Such images, says Mr Ball, “replicate the photographs I’ve seen hundreds of times,” and it is surely thrilling, to anyone who cares about the history of carp fishing, that some lucky un-named person owns these moving images – moving in all senses of the word – of the “Carp Fishing Godfather “ in action. But, on another level, it is odd that we care at all. After all, on the front cover of the same magazine, there is a picture of Danny Fairbrass with a monster common from South Africa. Fair play to Danny, - it is an impressive fish: on paper, far, far more impressive than Walker’s double from Delafield’s Pool; - but somehow the grainy images of Walker and Fred J. have the edge. They draw me in. They impress me. But why should this be so? Let me stick my silly gnomish head above the parapet and say that, in my view, and generally speaking, carp fishing today is a totally different activity - a different pastime - to that enjoyed by Walker, his “joyous crew”, and their immediate followers. On one level – and let me say this clearly - I truly admire anglers like Danny Fairbrass. These are men prepared to be pioneers overseas, with all the planning, cost and inconvenience this must entail. Here, on one level, is where the sport’s cutting edge is to be found. But what about carping fishing in the UK? To a large extent, I fear, it is a lost Eden. 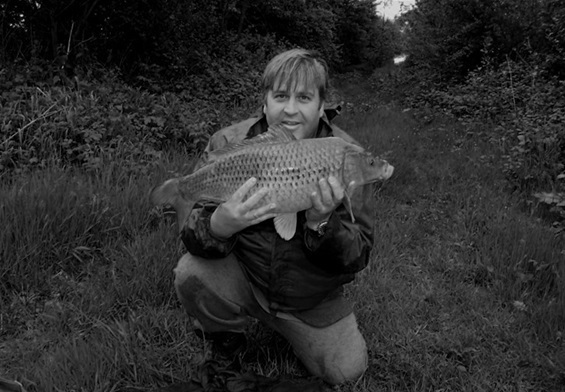 I caught my first carp as a youngster back in 1978; but despite catching reasonable numbers of carp since then, as a casual carp fisher, I did not really commit myself to the pursuit until January, 2009. Then, I was struggling to come to terms with sudden redundancy, and it was my kind wife, Heather, who suggested that I take myself off the local farm pond. I caught several doubles and a smattering of high singles, and I felt the same obsession settling in as I had once felt for big pike, during the 1990s. I recognised that this was, potentially, a dangerous obsession, where the limits would not be set clearly. However, I allowed myself to be drawn in. In those days, over four years ago, with time on my hands, I was fishing perhaps three times a week and grabbing as much reading material as I could grab! I decided that my target would be an unknown 20lb common from a little known or unknown water and, moreover, I would catch it without the aid of the hair-rig and without the use of boilies. More than four years on - having caught almost 1000 carp since January 2009, including a reasonable smattering of doubles - I am still waiting for that unknown 20lb common. I think there is a growing division between what we may call “artificial carp fishing” and “real carp fishing”. This is not to praise or denigrate any angler who fishes one or t'other way: the division has been made on the banks, for commercial reasons, and to cater for a massive demand. In the 1950s and 1960s, the carp fishing pioneers would not have understood the concept of commercial carp fisheries. They were looking for waters where carp had grown naturally to a large size. The carp were not stocked as big fish into Redmire or Ashlea. They were not made fat and dependant through the regular introduction of boilies or pellets. They were large fish because Mother Nature grew them that way, and they were there, waiting to be found by those pioneering anglers. Let me be a little controversial here, and say that, in most cases, most carp will not grow naturally to 40lbs in British waters. If they did, the rivers and canals would be full of really large carp, and they are not. In fact, most carp in "the wild", left to their own devices, will struggle to make 20lbs, even with king carp genes. This is the reason, I think, why we are so attracted by the tales and images from those pioneering days – because we are seeing and hearing about real carp fishermen in real angling situations. I want some of that: I want to fish pools where the unknown hangs over the water like morning mist. 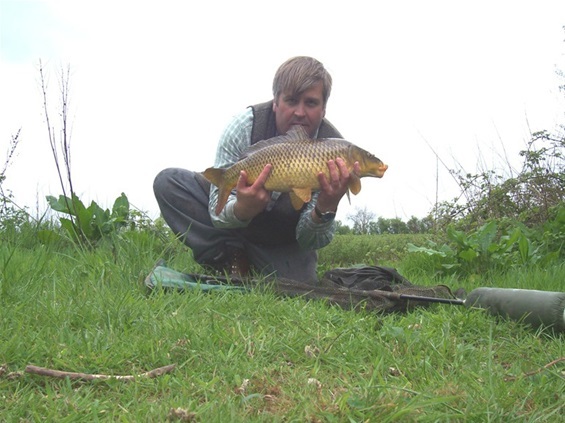 At the moment, I am excited about “The Other Pool”, a 2.5 acre farm pond that, it now transpires, was stocked 30 years ago and, until last year, was only fished briefly, some 15 years ago, - when a 20lb plus common was caught. I’ve fished it eight times now, and I’ve managed a handful of doubles and a fair number of high singles – the most beautiful Leneyesque carp that one could imagine. I’ve seen a few large fish too: the fish of my dreams. It’s a season ticket water, but I’m one of the few folks fishing it this year, because it isn’t easy. Perhaps, this year, I will achieve my ambition. But if I don’t, that will still be fine. After all, one very accomplished carp angler of the 1950s and 1960s, Bill Keal, had to fish for 12 years – landing 30 doubles in the process – before catching the 20lb carp he craved so very much. One thing is for certain: my 20lb common, when it comes, will not be caught with the aid of the hair-rig and a semi-fixed lead. I believe in striking my fish. To me, it is the difference between trapping fish and angling for them. The strike is important to me. As for the future of “The Other Pool”, I fear it is in the balance. As I’ve said, not many anglers are going there, and now the farm manager is considering making it a full-blown syndicate water. He asked me how this should be tackled, - should it happen. Should he make the swims more comfortable, by putting in wood chips and timber platforms, and should he remove all the many snags – mainly sunken branches that have accumulated over the years? Should he make a bridge to the island? Should he remove all the brambles? Except for the bridge to the island, I shook my head to all of these suggestions. Above - the Gnome, with a typical double from The Other Pool..
A modest-sized carp from The Other Pool - but to me an example of common carp perfection. I hold the same philosophy as you. Somehow I cannot bring myself to use hair-rig & fixed lead tactic. Having to strike still encapsulates the magic. Yes Dave - I think the key thing is the strike, all considered. I concede that hard baits, such as tiger nuts etc, probably need a hair. Each to their own, Chris, - but I do think you have made a very important point and many will agree, including me. I agree entirely. If the bait isn't attached directly to the hook it's cheating. Many thanks Mike, much appreciated; - I also think it's a great shame that "demand" has stripped so much mystery from carp fishing. That is very kind of you, Chris, and it's much appreciated.